McLEAN, Va. -- Forty years ago he was a Ku Klux Klan "wizard," burning crosses on black families' lawns. Now, after decades as a Catholic priest, he's coming forward about his past. While Father William Aitcheson's racist past was a matter of public record, it wasn't widely known in the diocese of Arlington, until this week. Prompted by images of violence during a white nationalist rally in Charlottesville, Aitcheson described his transformation in a column published Monday in The Arlington Catholic Herald, the diocesan newspaper, and urged white supremacists to repent. "While I firmly believe God forgave me -- as he forgives anyone who repents and asks for forgiveness -- forgetting what I did would be a mistake," wrote Aitcheson, who is taking a leave of absence from active ministry. "My actions were despicable. When I think back on burning crosses, a threatening letter, and so on, I feel as though I am speaking of somebody else." Aitcheson, 62, said 40 years have passed since he was in the Klan, but the violence he saw last week compelled him to describe his journey. 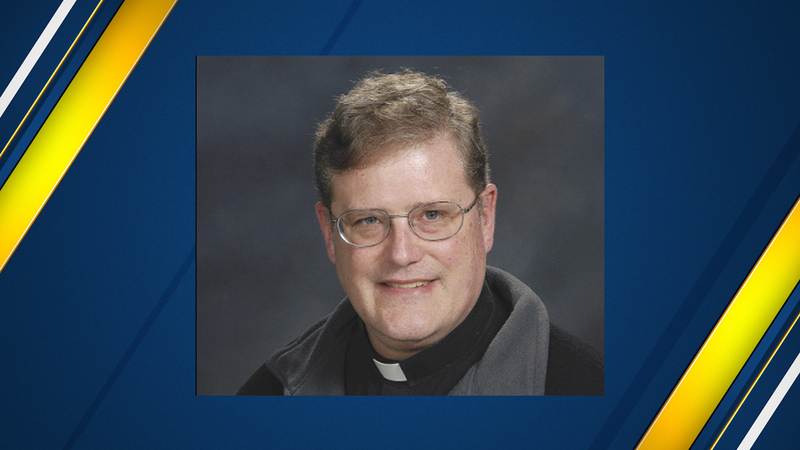 The diocese noted that Aitcheson "voluntarily asked to temporarily step away from public ministry, for the well being of the Church and parish community." In a statement, Arlington Bishop Michael Burbidge called Aitcheson's past with the Klan troubling, but said he hopes his story of transformation will help others. "I pray that in our current political and social climate his message will reach those who support hate and division, and inspire them to a conversion of heart," Burbidge wrote. Aitcheson was ordained as a priest in 1988 by the Diocese of Reno-Las Vegas, and has been assigned to the Arlington Diocese since 1993, most recently serving as parochial vicar - an assistant pastor - at St. Leo the Great in Fairfax. Articles from the Associated Press archives show that Aitcheson was arrested in 1977, when, as a student at the University of Maryland, authorities identified him as the "wizard" of a 12-member KKK lodge. He was charged in state and federal court with multiple cross-burnings, and a threat to kill Coretta Scott King, the widow of Martin Luther King Jr. He was convicted and sentenced to 90 days in jail. Five years later, a judge ordered Aitcheson to pay $23,000 in damages to Philip and Barbara Butler, who were victimized by one of Aitcheson's cross-burnings after they moved into a mostly white neighborhood in College Park, Maryland. That prompted the visit from Reagan, who sought to reassure the Butlers that the racist attack was not representative of most Americans' views. Diocese spokesman Billy Atwell said Tuesday the diocese knew about Aitcheson's past with the Klan when he arrived in 1993, but "just learned this weekend about the civil suit from 40 years ago and will be working with Fr. Aitcheson to ensure he meets all of his legal and moral obligations to make restitution." The diocese said Aitcheson was declining interview requests. Atwell said the diocese is confident that Aitcheson's change of heart all those years ago was sincere, "evidenced, in part, by the fact that we have had no accusation of racism while ministering." In his column, Aitcheson urges white supremacists to take a different path and seek forgiveness. "You will find no fulfillment in this ideology," he wrote. "Your hate will never be satisfied and your anger will never subside."